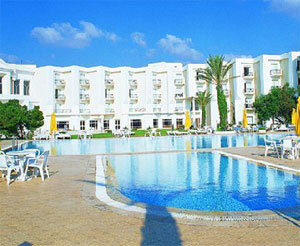 The Hotel El Mouradi Grammarth in Tunisia is in the neighbourhoods of Marsa, between a marvellous sand beach and a forest. The hotel is located close to the historical cities of Tunis, Carthage and Sidi Bou Said, offering a perfect site to visit the tourist attractions most important of Tunisia. This hotel 5 stars of class offers modern comforts plain to a traditional architecture of the building, whose decoration and furniture reproduce the environment lived by the former Tunisian lords who formerly spent their holidays in this area.For an unforgettable stay with the beach and the hotel El Mouradi Grammarth, the customers will find swimming pools, restaurants, 5.000 m ² of greenery, private beach, center wellbeing, center of thalassotherapy, and personnel available for services 24:00 /24. 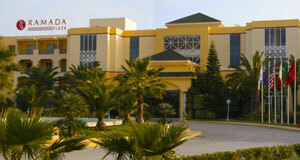 The Hotel El Mouradi Grammarth has air-conditioning in all the establishment and offers a great number of services for the leisure and the sport as of the programs of animation is for the children that for the adults.The hotel is also the ideal place for any kind of event, thanks to its business center (auditorium and conference room) which can accomodate 700 people, marriages, private meetings, meetings of businesses or particular evenings they will find with the Hotel El Mouradi Grammarth their ideal site. In first line of beach, the hotel Barceló Carthage Thalasso *****, proposes to you a complex of more than four hectares of which the atmosphere and decoration are a true invitation with the relaxation... at 20 minutes hardly of the center of the town of Tunis and most important centres of cultural interest. The Phébus hotel is located at 18 km in the North of the capital, 12 km of the airport of Tunis Carthage, in the balneal zone "the Coasts of Carthage", in edge of an immense sand beach end, in the middle of a forest, on a ground of 2,8 hectares. The Phébus hotel has of 120 rooms turned towards the sea (14 are communicating), of 3 continuations seniors and 1 presidential continuation. The continuations have a mini-bar, jacuzzi, direct telephone, T.V with chains and satellite radios, bathroom, dries hair. The Phébus hotel proposes water sports and has a tennis court, of an adventure playground for children, of an external swimming pool, a covered and heated swimming pool, a swimming pool for children, a tennis court with lighting of night, of a ground of beach volleyball, a ground of game of bowls, American billiards, a center of back in shape including/understanding: sauna, hammam, jacuzzi and massages, room of gymnastics. Superbly located on a sand beach end of the Coasts of Carthage, Ramada Plaza Tunis remains your ideal place for resting holidays or a stay of businesses. 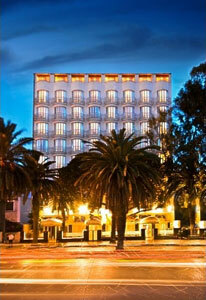 In the central district of the businesses the single hotel of charm of Tunis is. The hotel the White House is a stopover of exception. It was conceived as a particular residence, a miniature "de luxe hotel" where one cultivates the softness of living. In an exceptional environment of user-friendliness, you are with go perfect of an elegant refinement in the middle of Tunis. The hotel the White House proposes a broad choice of services in order to answer waitings of the customers.